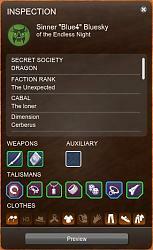 Arleculator extend the original inspection menu by adding extra information about characters inventory. It will replace the standart InspectionController.swf file. 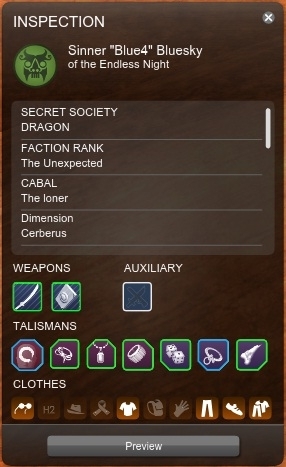 In inspection window after standart information (Secret society, Faction rank and etc) will appear extra information about characters inventory. 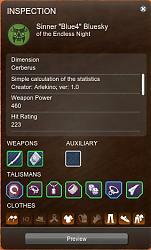 Is there a way to get the code you used to calculate the stats? Lots of information and it gives a good idea what people around you can do. EDIT: It seems the calculations are incorrect. 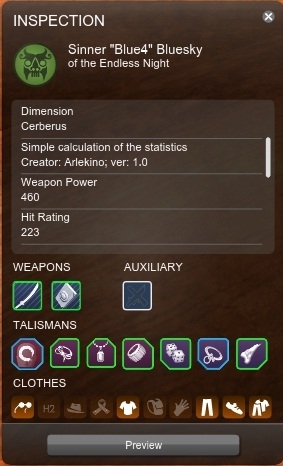 I guess it adds stats from both weapons and for other stats I don't know where the error occur. Last edited by OneMember : 10-24-2012 at 07:21 AM.